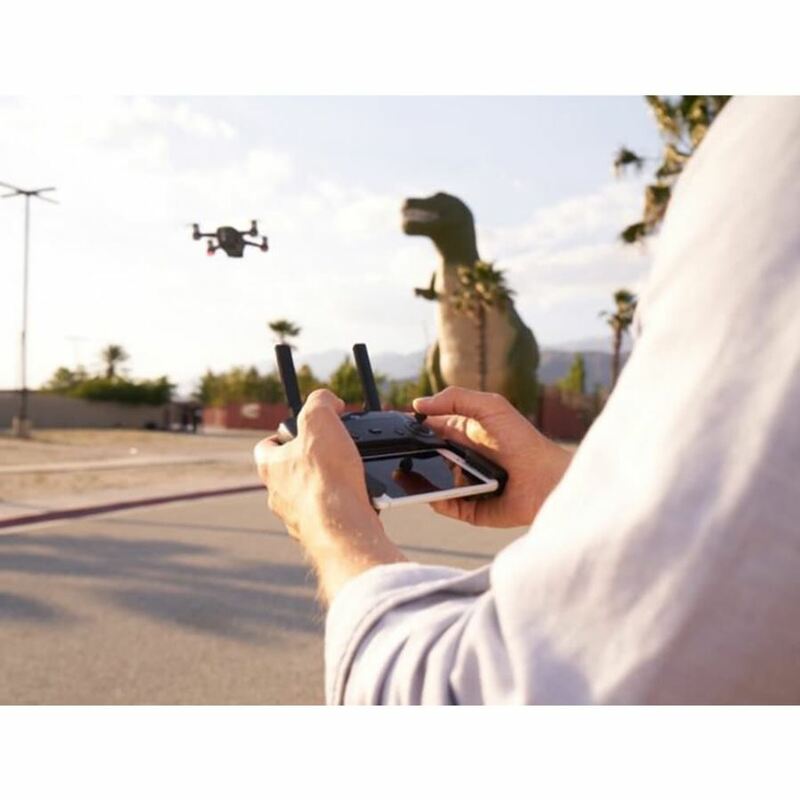 Spark's remote controller features a brand new Wi-Fi signal transmission system, capable of controlling the aircraft and gimbal camera at a maximum transmission range of 1.2 mi (2 km). The remote controller can connect to a mobile device wirelessly and display a live video feed via DJI GO 4. Its folding clamps allow you to attach your mobile device securely. Maximum remote controller battery life is approximately 2.5 hours. Get for more fun!